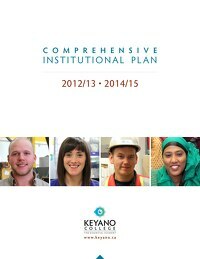 Keyano’s Comprehensive Institutional Plan (CIP) is collaboratively developed each year with input from faculty, staff, students, the Keyano College Board of Governors, and external stakeholders. 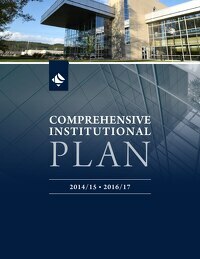 This year’s CIP, spanning 2018/19 – 2020/21, aligns the College’s programs and services with student and employer demand, delivers on the College’s approved Mandate, and addresses the Government of Alberta’s adult learning system principles of accessibility, affordability, quality, coordination, and accountability. GOAL 1: ENHANCE THE STUDENT EXPERIENCE. Providing a supportive learning environment that helps students succeed is a key priority for the College. Over the next three years, Keyano plans to continue to enhance the learner experience, improve student housing options, renew learning spaces, move forward with the College’s Indigenization and internationalization plans, and promote mental health and wellness. GOAL 2: PURSUE ACADEMIC EXCELLENCE. To support social and economic prosperity in the Wood Buffalo region, Keyano provides accessible, affordable, and high-quality learning opportunities for students - on campus, at its rural learning centres, and via online learning. Improving access to post-secondary education by providing relevant programming options remains a priority. Plans for the next three years include the launch of an Environmental Monitoring Certificate and two new Pre-employment specializations - Plumber and Heavy Equipment Technician. As always, Keyano continues to explore opportunities to collaborate with other post-secondary institutions and community organizations to develop and deliver academic programs to benefit the Wood Buffalo community, improve access to education, and create flexible learning pathways. Ongoing collaborations with Campus Alberta partners provide opportunities to share information, knowledge, and programming; improve system access; and provide more program options for adult learners within the region. To drive continuous improvement, Keyano will develop a Program Quality Assurance (PQA) Framework, as well as a Teaching and Learning Framework. GOAL 3: ADVANCE INSTITUTIONAL SUSTAINABILITY. Keyano aims to use its assets in innovative ways to generate maximum value. Exploring ways in which the College can work with community partners and Alumni to enhance program delivery and enhance local economic impact will be important in this regard. Having the human resource capacity to develop, deliver, and support high-quality programs and services is also vital, and the creation of a People Plan will help the College achieve this. 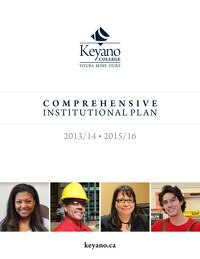 Development of Keyano’s Strategic Enrolment Management Plan will support student recruitment, retention, and program completion. Keyano will continue to improve its business continuity planning and processes. Achievement of these three goals will help Keyano increase regional access to quality post-secondary education programs and services, and will provide flexible learning pathways for students. The College looks forward to discussing these plans with government, business, industry, community, and Indigenous stakeholders, and to effectively meeting the needs of our students now and in the future.